Booming users of Facebook, Twitter and other social networks is an indication that people need other people aka FEAR OF LONELINESS. 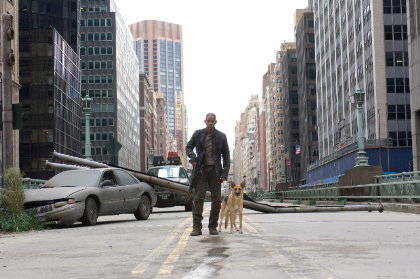 a scene in the movie The Legend, starring Will Smith, described him living in a ghost town which lost all of its inhabitants, no one left but he and his dog. The picture was terribly creepy, alone in the jungle of concrete-concrete buildings. Word of God said that is not good that man should be alone and Eve was created as a companion to Adam is the embryo that man needs other people in his life, whether family, school friends, business friends, playmates or just a casual acquaintance, when we are engaged in community, a “relationship” formed from there. Actually, what is the definition of a true friend? Is there an expiration date? how long can a true friend accompany us? 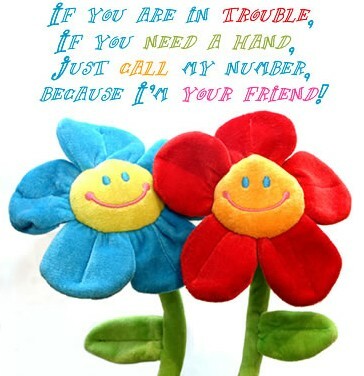 Kahlil Gibran said, “there is no such thing as true friends, only interests”. I tend to agree above quote because of the effect of the word “interests”, and if we honestly examine the types of relationships in any given community, is essentially the same interests, the same passion, the same ideals. Two people who fell in love to each other and have a vision of a happy family, will begin to form a new family, and a happy family can be achieved by cooperation between the two. The ability to coop and work together because they have SAME aim, as well as occurring in a business relationship, a relationship of the same hobby, all can be preserved as far as the goal is still the SAME. The long and intimate friendship does not guarantee it will be lasting in the future, because people change. Motivation: Sincerity in dealing, whether there is a hidden agenda? or manipulate others to achieve our goals. (Romans 12:9 Let love be not pretend). Words: Speaking of discipline, which otherwise is the truth. (Mat 5:37 If so be ye say yes, if it does not let you say no. What more than this comes from evil). By having the above attitudes, at least it would keep us from the no value relationships. On the other hand I believe that true friend does exist, even more than one, and that character appear when we really need a strut. They can be found in every episode of our lives, in childhood, adolescents, adults, married, parents, etc.. Try recalling the past, and remember anyone who has ever emerged as a true friend when we experienced hard times and needed mental support. Personal figure of other real friend is Jesus. He is faithful. While the whole world does not care about us, persecute us, throw us, only He that was always faithful to sustain us and accommodate our tears in His container. If we seek Him earnestly … then we will find Him, with Him there is true peace. And I want to be like Him, a true friend to everyone, even vilified, insulted and abused, I want pure love presents in me – by His grace. Amen.